Interview and Book Giveaway with a new Author! Marji Laine chats with newly published author, Dena Netherton. 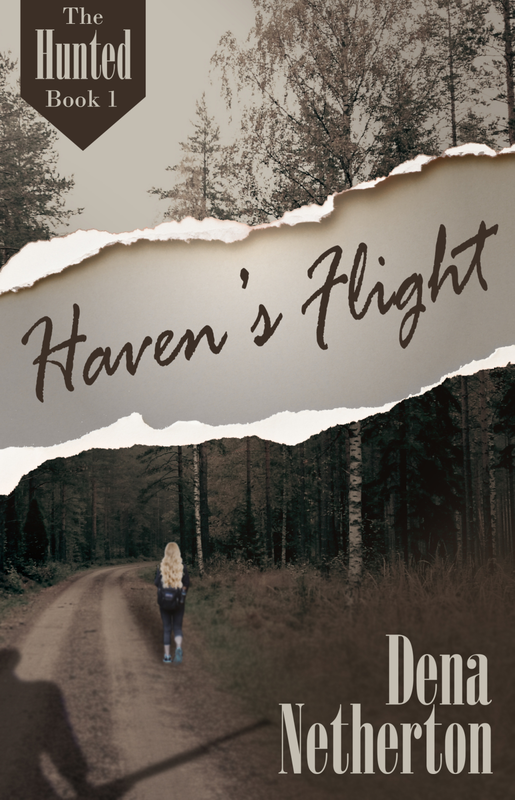 And be the first to own Dena's hot new release, HAVEN'S FLIGHT, Book #1 of her The Hunted series. Leave a comment to be entered in the giveaway for a free e-book copy of this riveting suspense. Marji: I'm so excited you were able to join on this with me, Dena, and I'm excited about your story, HAVEN'S FLIGHT! This story has been a long time in the making. How did you begin this journey and what have been your greatest challenges? Dena: Yes, I’ve had this story in my head for years. I thought about trying to write it when the kids were still in the house, but between raising children, working at the church, going back to school, and teaching a full load of piano and voice students at home, there wasn’t time to learn how to write. The nice thing about writing is, you only gain more experience—and hopefully, wisdom, too— with the passage of time. So, your writing isn’t going to suffer if you put off telling a story. After my third and last child got married, my husband and I moved to Estes Park, Colorado. We lived in a gorgeous mountain home at an 8000 foot elevation, with wrap-around decks and huge windows that looked out on the mountains. It was the perfect atmosphere to start writing. My office looked out on the Twin Sisters Peaks. Herds of elk used to congregate just outside my window. An occasional bear or coyote wandered by, too. Marji: Oh my gosh! Sounds heavenly! Dena: I wrote a novel and took it to several agents who nicely told me I needed to work a bit on my writing craft. Well, writing’s a lot like learning to sing well or play the piano. At first you think, “No sweat, I can do that.” But the more you learn, the more you realize how much more you have to learn. So I joined three writers groups, got into a critique group, bought lots of books on the craft of writing, and practiced. The biggest challenge for me has been the temptation to be discouraged. It’s not easy to face rejection or receive less-than-steller critiques from judges. But I believed that I had a good story, so I pressed on. Marji: Your story sounds a LOT like mine! Critiques and writing groups along with books on every element of the writing craft. But it was worth it for me, and definitely worth it for you with this first book of "The Hunted" series. 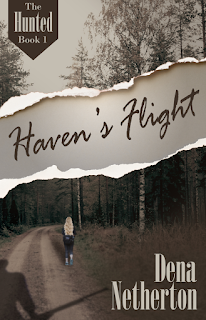 HAVEN'S FLIGHT has a distinctively “creepy,” hair-tingly feel to it with the stalking issue. Did that layer of the story come from anything you experienced or just from your vivid imagination? Dena: I’ve never forgotten the tension in my stomach each day as I left work. I took different routes back home and kept looking around to make sure the guy wasn’t following me. Somehow he found out where I worked and showed up at my office. Fortunately, it was my last day of work. The next day, I flew to Michigan to go to school. you were writing Haven’s Flight, did you have any moments when the story elements seeped into reality? Like did you ever find yourself looking around to make sure no one was watching you? Marji: That's fun. You really get to know your characters well when you're spinning their stories. What have you found to be the most fun part of today’s publishing environment or the writing process as a whole? Did you find anything that surprised you? Dena: I love the friendships I’ve developed with other writers. Most people think a writer’s life is lonely, but it’s anything but. Probably because publishing has changed so much in the last few years, it nudges writers out of their offices and into social venues with readers and other writers. Which is a good thing. Marji: I would certainly agree with that. I was sure surprised by that element. It’s obvious from your detailed descriptions that you love the Cascade Mountains. When did you move there, and what do you like most about the area in which you live? Dena: I first visited the Cascade Mountains when I was a teenager. Something about the area resonated with me. It’s kind of like meeting your soul mate. I love the misty weather, the mountains, the cedars and Douglas firs. That’s when I knew I had to set some of my future books in the area. I visited the Seattle metro area several times. When I started writing Haven’s Flight, I came out three more times to take notes and photos and gather maps and cultural information. 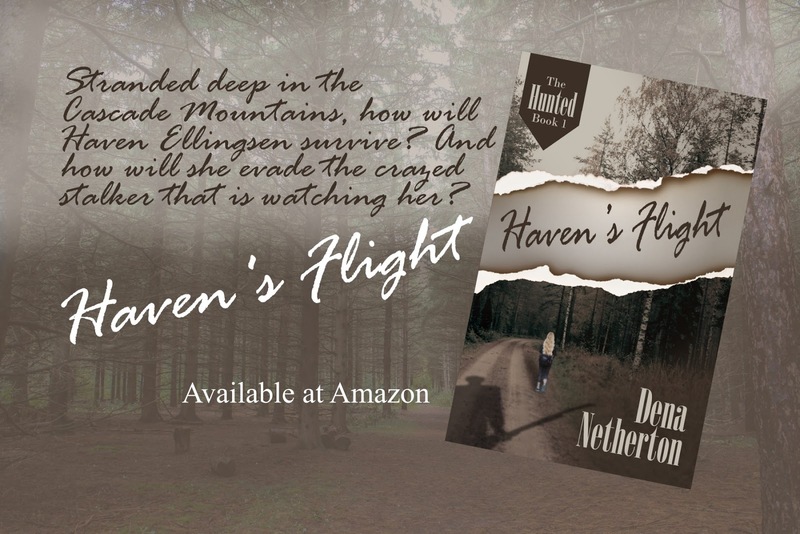 My husband and I moved to the Northwest two years ago, long after I’d written Haven’s Flight. The town I live in is north of Seattle, close to the Canadian border. It’s got the best of everything: the sea, the mountains, mild weather, beautiful trees, and fun cultural stuff going on all the time. Marji: In addition to your writing, you also have other sides to your life. 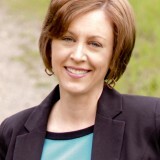 Tell us about the rest of Dena Netherton. Dena: I love to hike and take photos. I love classical music, theater, opera, ballet. But I also appreciate good singers and musicians in other kinds of styles. I’m passionate about prayer, and when I pray it’s often out loud. I get a lot of praying done when I take my walks, which is why I like to walk by myself! I love people. I love to be in church. I love animals, too. 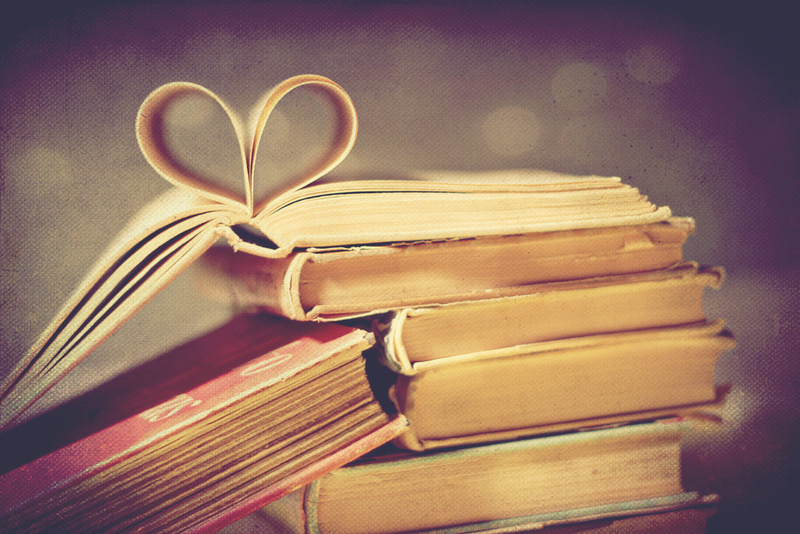 I love a good story. I adore road trips. I’m left-handed, but I’m pretty much ambi-dextrous. I’m an insomniac, but that’s okay because late at night is when some of my best story ideas come. Marji: I'm not an insomniac, but I do love to write late at night when my filters are down. So, what is Haven going up against next? Dena: Haven is still determined to keep her father in the dark about what happened to her in the mountains. 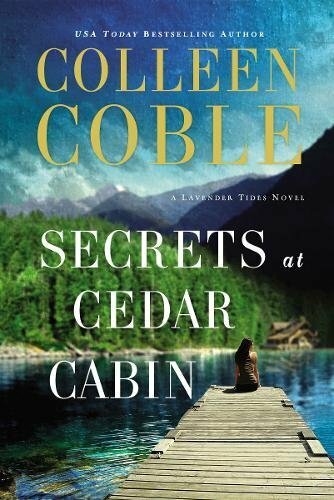 But when an old friend resurfaces with disturbing news, Haven realizes she must put distance between herself and those she wishes to protect. 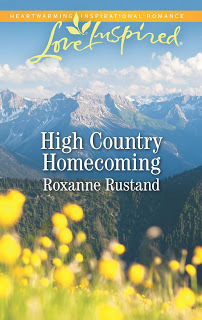 A new town, a new job, and a new romance hold the possibility of safety and a new life for Haven. Why choose? I have both where I live! I love them both, but I ‘d rather have a donkey. c. LOL! Tea, coffee or soda? Definitely dark, dark coffee. I’m Norwegian, after all. e. Pizza, Burgers, Ribs, or Tacos? When I’m really hungry, I crave a good burger. f. Date night out or game night in? Take me out to a fine seafood restaurant. g. High heels or sneakers? I love to don high heels and load up on the jewelry. Marji: Thanks so much for sharing with us! How can you flee from an unseen enemy? 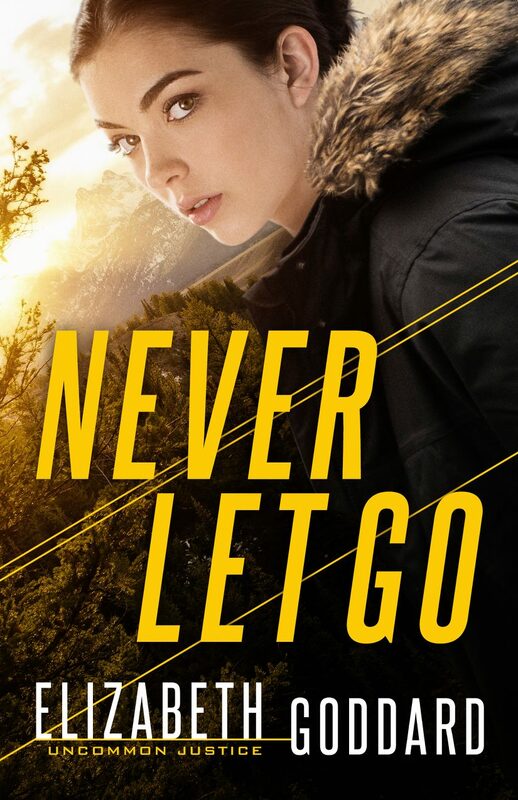 Haven Ellingsen enrolled in Life Ventures Therapy Camp in the Cascade Mountains to help her heal from horrible memories of her mother’s violent death at the hands of an armed robber. But now, a greater fear dogs her steps. The rustle of leaves or the snap of a twig could be nothing. Or it might signal the sinister presence of the stalker who won’t stop following her. 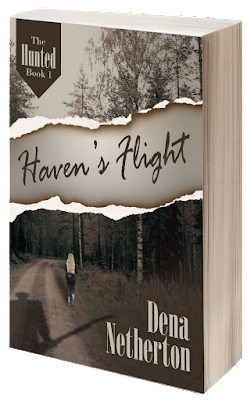 It seems like a cruel trick from God to throw Haven into another dangerous situation only a year after her mom’s murder. He hides near her tent and listens to the girl talk with the counselor. Mostly she talks about her father. She’s unhappy, and he can’t stand to listen and do nothing about it. He needs to rescue her. He needs to make sure she doesn’t ever go back to that man. His own father was the cause of his mother’s death. And Ruth’s. He can’t let that happen again. Not with this girl. When the time is right, he’ll take her away to his hidden cabin where she’ll be safe. And he will feel peace for the first time in years. Can one month of survival training equip a girl to face all that the rugged wilderness and a madman can dish out? Marji and Dena will be talking about the publishing atmosphere on Publishing Laine, 7PM on Blogtalk Radio. Join them live or listen after the fact at this link. 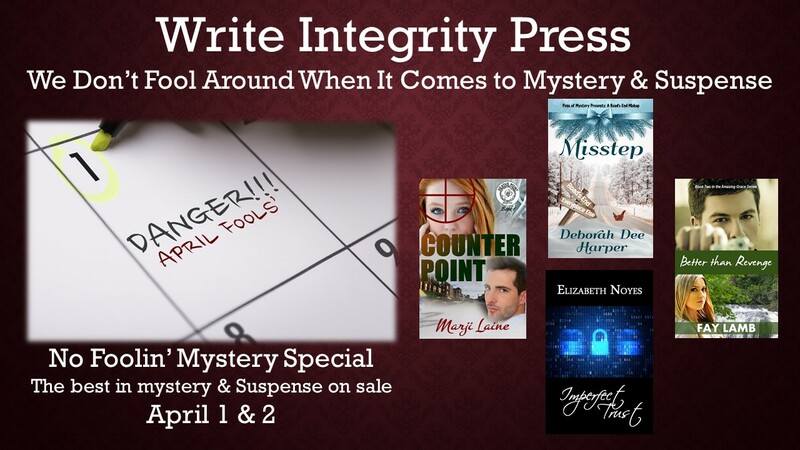 Oh, and take advantage of Write Integrity Press's April Fool's 99¢ Sale on Mystery and Suspense to celebrate the release of Dena's new book. 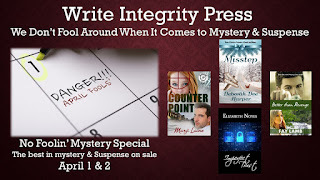 Learn more at the Write Integrity Press website. So I came up with an idea back in December of 2016. 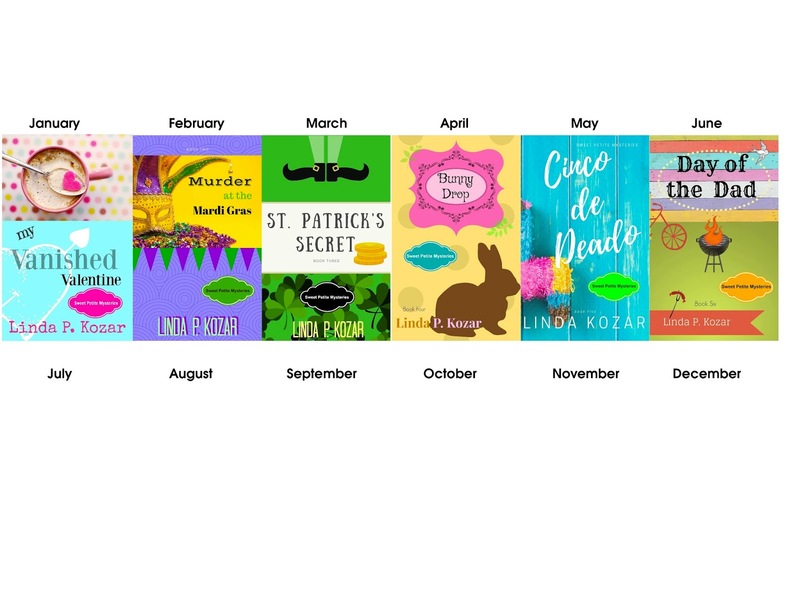 Why not write a series of short mysteries with a holiday theme for every month of the year. 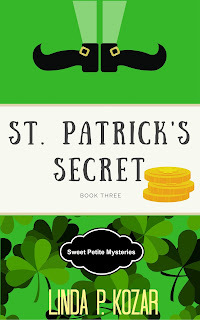 Short concentrated reads with rich mystery elements and fun themes. The only problem was TIME! But as I soon found out, writing a 5,000 word + mystery isn't bad at all. In fact, it's kind of fun. I designed all the cover art too, and THAT'S a blast. The first three books are released and the fourth will be coming out in April. 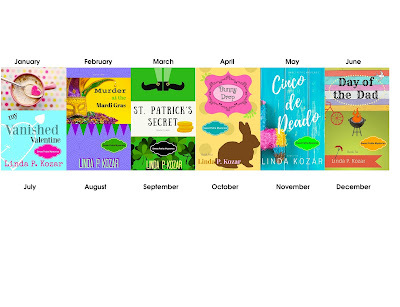 And if you're reading this post, you are getting a sneak peak at the covers all the way to June. WANNA WIN ONE? 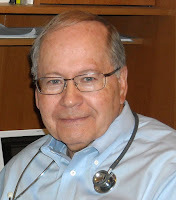 I'm giving away the first three ebooks. Leave a comment to enter! Teresa Moretti is confident that at the conclusion of a romantic dinner at an Italian restaurant, her boyfriend David is going to pop the question. But when he excuses himself to use the restroom and doesn't return, she suspects foul play and contacts the police. A handsome young detective takes over the case and much to his dismay, Teresa inserts herself as his sidekick.Will she find her missing fiancé or find herself in the middle of a fiasco? 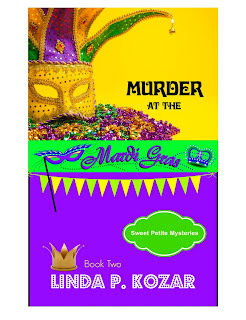 When an esteemed professor of Louisiana history is found face down in a King Cake, young detective Annie Fournier suspects foul play and begins an investigation to find the person responsible. Her partner has little patience for Annie's inexperience or gender and seems to enjoy mocking her at every opportunity. And to top that off, the crazy melee of Mardi Gras seems to hamper their progress at every turn. Will they weigh in on the identity of the murderer before Fat Tuesday ends, and will Annie prove that she has what it takes to be a detective? The stakes continued to rise while Tyler was faced with his dilemma–stay or go? Apprentice was an excellent historical suspense/murder with a pleasing romantic subplot, and some fascinating insights into the world of magic and illusion. 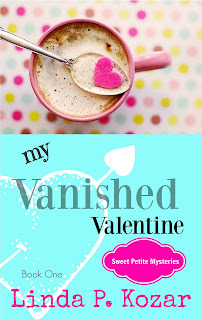 Recommended.” You can find her complete review HERE. 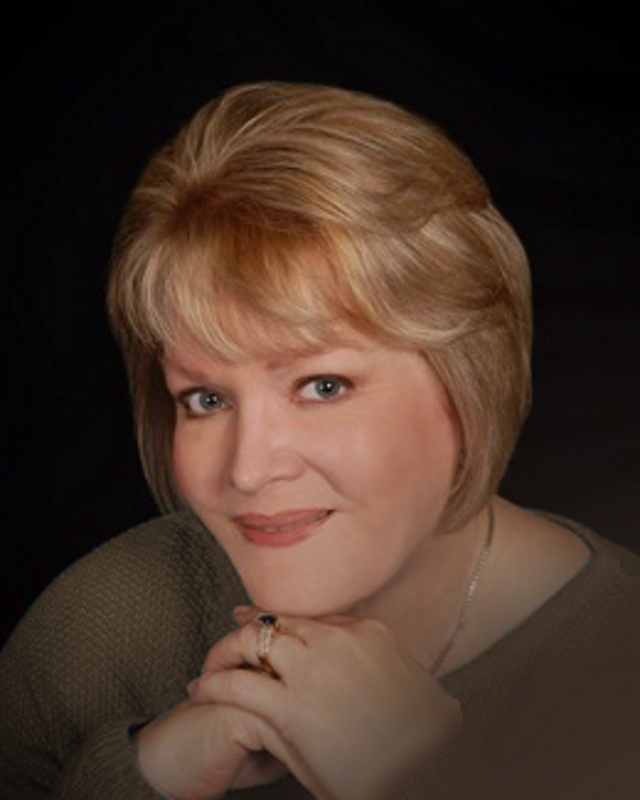 On Tuesday, Suspense Sister Dana Mentink will share What’s Hot in Inspirational Suspense and Mystery. On Wednesday we’ll hear from Suspense Sister Linda Kozar. She’ll be talking about her Sweet Petite Mysteries. 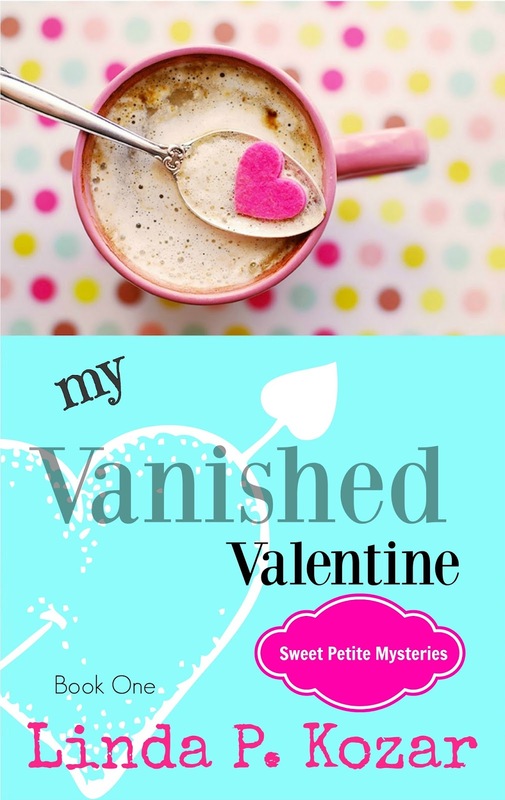 You could win three ebooks: MY VANISHED VALENTINE, MURDER AT THE MARDI GRAS and ST. PATRICK'S SECRET. 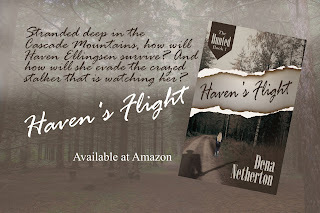 away an ebook copy of HAVEN'S FLIGHT, book one in her Hunted series. INTERVIEW WITH MARY ELLIS: "Building" Suspense! Published Writers Are Rich and Famous...Right? There’s a wonderful line in The Muppet Movie. The Muppets have come to the big city looking for fame and fortune, and they encounter Orson Wells, playing a big-time producer. At the end of the scene, he tells his secretary to prepare the “standard rich and famous contract.” I guess that’s the kind of contract an author dreams about, but so far as I can tell, it only exists in the movies. From the outside, being a writer seems exciting. At my first writer’s conference, I was awestruck by the published writers there. These were people whose names were household words—well, not in my household, but I was just getting started, so I could be excused for not knowing all of them. But surely they were celebrities in their hometowns. Most certainly they had to stop and give autographs in the grocery store or dry cleaners. And undoubtedly they lived in the lap of luxury. After all, they were published authors! My first novel was published several years later. I’ll never forget the thrill of opening that box and seeing the cover with “Richard L. Mabry, MD” printed at the top. I listened carefully, but so far as I could tell, there were no cheering crowds outside my window, no marching bands in the street. I opened my Internet browser, but there was no headline about the book. What I did find, however were a bunch of emails about interviews and guest blog posts that I’d lined up to get the word out. No matter that there were no cheering crowds yet. Surely these would do the trick. Now, fast-forward to the present. Recently I received the print copies of my self-published novella, Doctor’s Dilemma. That made three novellas and ten novels I have had published, but by this time reality had set in. I took a minute to thank God for having brought me this far in a second profession I never dreamed about. I showed the book to my wife, Kay, and gave her a personalized copy. I reviewed the blog interviews and guest posts I’d set up. And then I went about my business. I didn’t take the time to listen for cheering crowds and marching bands. I knew better than to expect any. 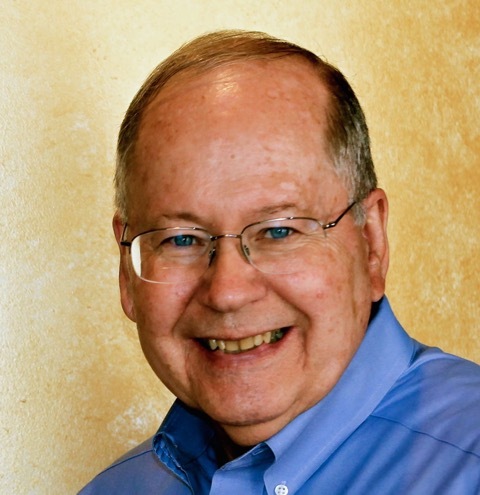 At church, a few people know I’m an author, and we talk a bit about it. I’m sometimes asked to sign a book. I’ve been asked to share a little about the publishing industry with various groups. But that’s about it for the famous part. And as for rich, well that’s not going to happen, either. Do I mind that I never got that “standard rich and famous contract?” Not really. My words have been read by many more people than the population of the town where I grew up. If I’ve succeeded in my mission, when those readers turn the last page of my novel they find they’ve been left with a message—not a hard-sell of Christianity, because that’s just not my style, but rather a message that no matter how far we drift from God, we can always turn back to Him. I’ve been allowed to use the printed page as my pulpit. And that’s rich and famous enough for me. Leave a comment, including your email address, for a chance at a $10 Amazon gift card. Winner will be chosen and announced in the Comments section the evening of March 26. Tweet with a single click. "Are all published authors rich and famous?" Click here to tweet. 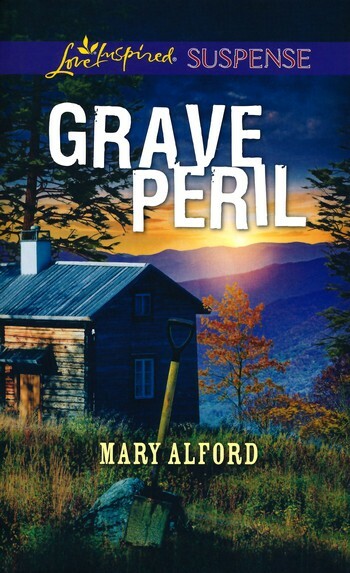 Hot new suspense...on the shortlist for an Inspy Award! 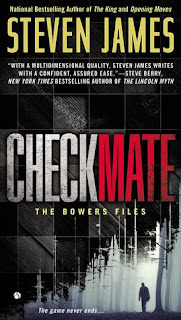 In “Checkmate,” critically acclaimed novelist Steven James offers the final, chilling chapter in his bestselling series, The Bowers Files. 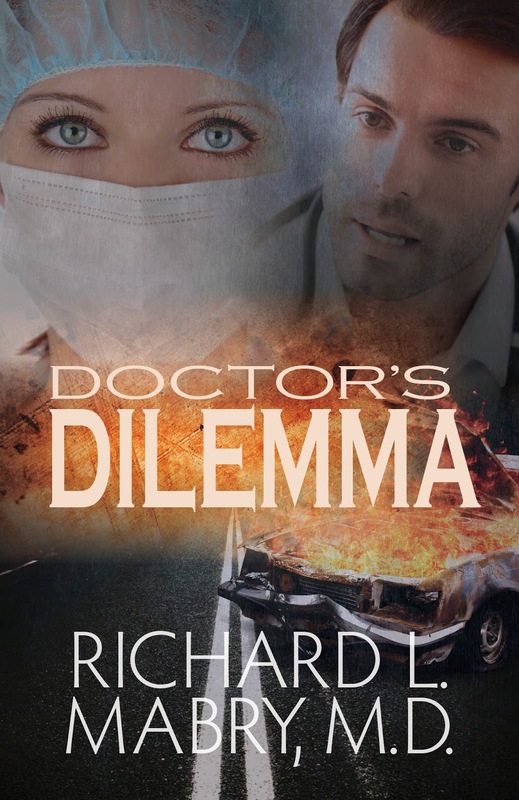 When a clandestine FBI facility is attacked, Special Agent Patrick Bowers is drawn into the vicious, ruthless story that a killer from his past is bent on telling the world. Clues lead to long forgotten secrets buried deep beneath uptown Charlotte, North Carolina. Now, Bowers is caught up in trying to stop one of the most deadly attacks ever planned on American soil. Smart, tense and full of mind-bending twists and turns, “Checkmate” explodes onto the scene, bringing The Bowers Files to a climactic and unforgettable conclusion. On our review page, Iola Goulton reviews THE ILLUSIONIST'S APPRENTICE by Kristy Cambron. 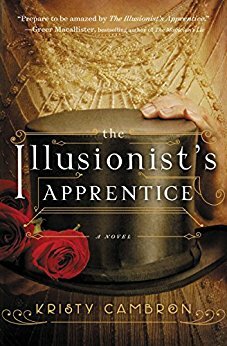 Iola says: “The Illusionist’s Apprentice was an excellent historical suspense/murder with a pleasing romantic subplot, and some fascinating insights into the world of magic and illusion. 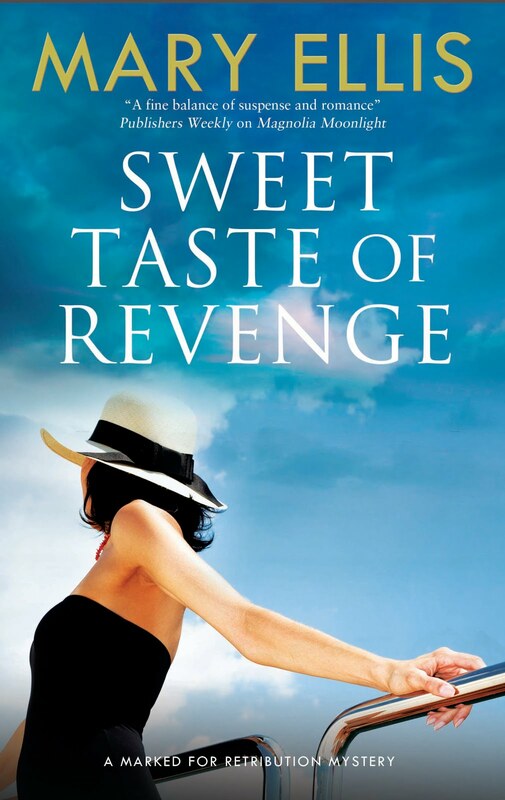 Recommended.” You can find her complete review HERE. Friday, we’re interviewing author and Suspense Sister, Mary Ellis. She’ll be giving away a copy of her newest book, SUNSET IN OLD SAVANNAH! 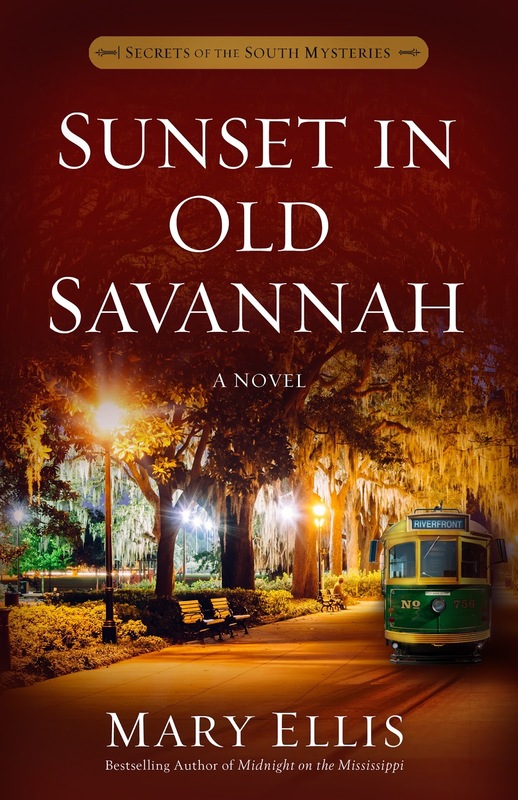 surveillance on her wayward husband, the detective duo find themselves embroiled in a mystery that leaves them in this beautiful, historic city longer than they had expected. 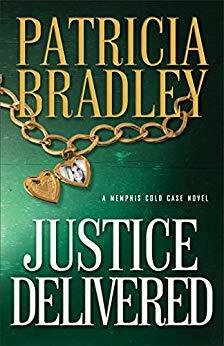 Evelyn's husband turns up dead, leaving her as the police chief's prime target. The investigation reveals a hodgepodge of potential murderers, including a scheming business partner, a resentful mistress, and a ne'er-do-well brother. 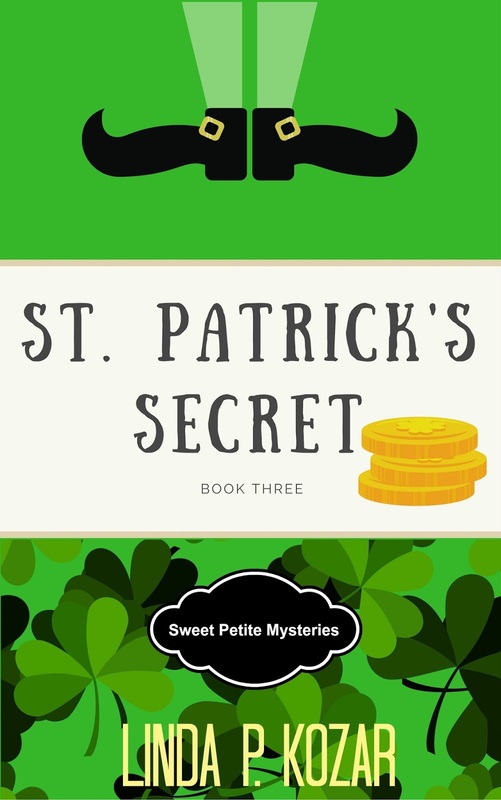 It's up to Mike and Beth to follow the trail of secrets that reaches further than the branches of the moss-draped oaks of Savannah. As praise of the agency gets around town, business is growing for Price Investigations. 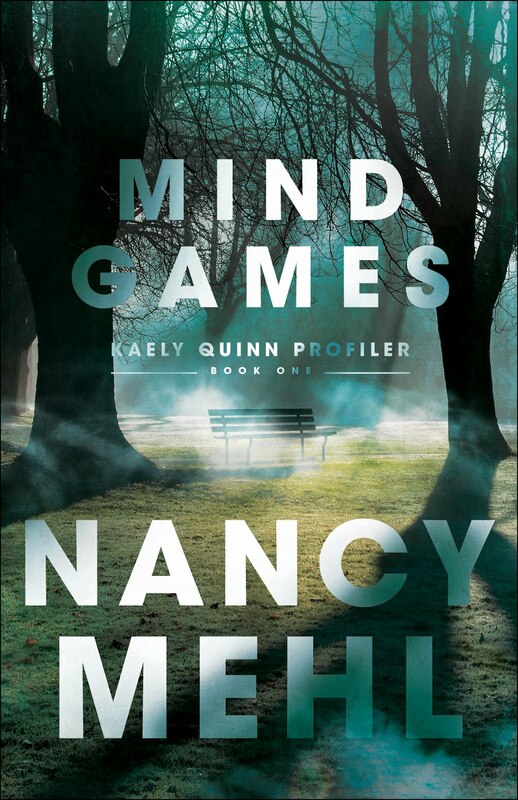 When Mike and Beth hire Kaitlyn Webb, Savannah's newest transplant, their workload eases, but will the ghosts of her past threaten everyone's safety before a killer can be put behind bars? And can Mike and Beth find love as their friendship and faith are put to the test? 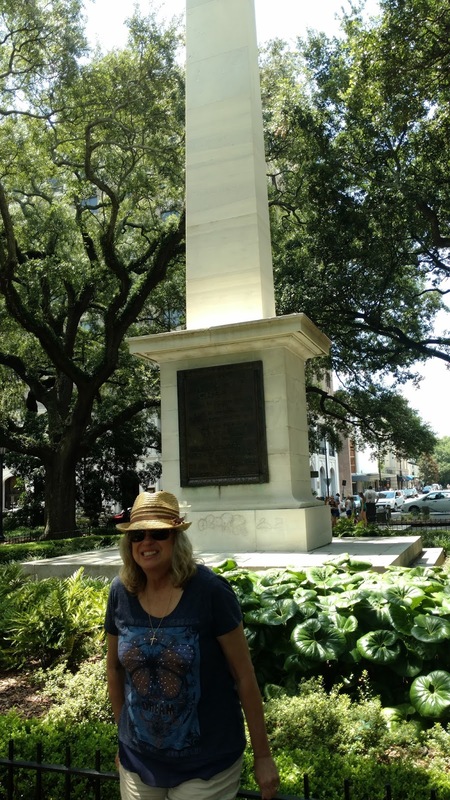 An interview and a giveaway with Lynette Eason! 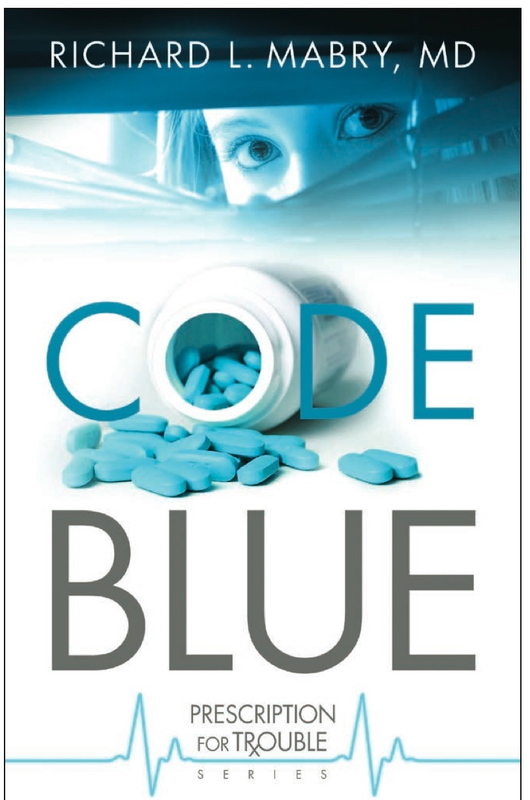 Interview with ANN H. GABHART and Giveaway!